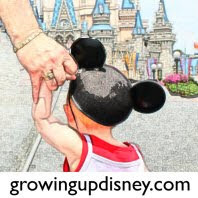 Growing Up Disney: Photo Flashback - Remember Topiaries? Disney Horticulturalist are very talented people. They use to take time to grow shrubbery they carefully trained, trimmed and shaped into different animals and Characters. Today topiaries are mostly grown on shaped moss forms. While they can be beautiful, they don't compare to some of the work they use to do. If I remember correctly there is still one sculpted topiary of an elephant doing a headstand across from the bus stop under the Monorail tracks at the Magic Kingdom. This picture was taken in November 1994 on a backstage tour. Even pigs are impressive as sculpted topiaries. In the background are two giraffes that I "cut" their heads off when I took this picture. Do you remember seeing "real" topiaries in the parks? Those were some of my favorite parts of Disney World. I miss them... that is why I love the Flower & Garden Show coming up next month... YAY!! !